Considering that most companies report having virtualized more than 75% of their compute infrastructure, some over 90%, it appears that the server virtualization journey is wrapping up. However, age-old problems still plague data centers everywhere. Server virtualization has reduced costs, but it hasn't cut down complexities. 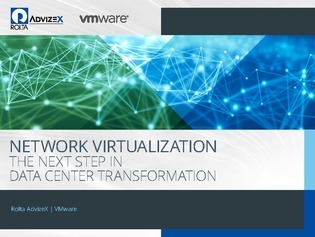 The end-goal is actually a software-defined data center (SDDC) and the path is through network virtualization. Read on to learn why SDDC is the future of data center technology and why network virtualization is becoming increasingly vital.